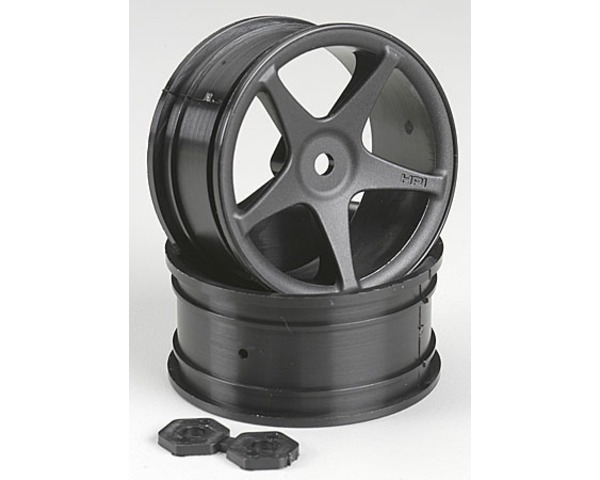 This is a Set of 26mm Black 5-Spoke Super Star, Touring Car Wheels. these great looking 5-Spoke wheels from HPI. Two Black Rims, and two 2mm hex shaped spacers. Touring car, tires and CA glue to glue tires to wheels.